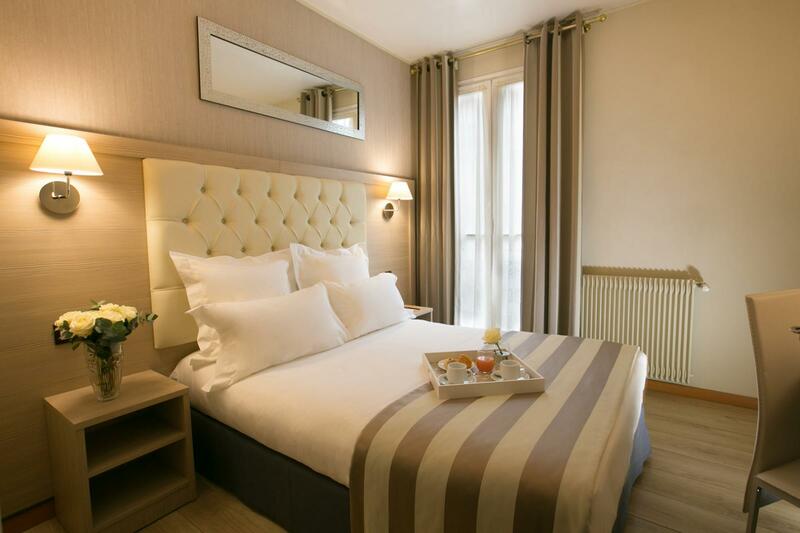 Located in a typically Parisian street in the 8th arrondissement, the Hotel Alexandrine welcomes you to its haven of peace in the heart of Paris. We like to think that our residence is also yours. We invite you to make yourself at home throughout the hotel, from the lobby to your room, so you can enjoy a memorable and relaxing stay with us. Combining charm and modernity, our establishment and its elegant Haussmann-era façade will immerse you in the poetic and historical spirit of the City of Light as soon as you arrive. The entire team of the Hotel Alexandrine is at your service and will be pleased to give you advice and recommendations for discovering Paris and its many secrets.
" Every day brings its work and its rest." Our elegant and comfortable rooms with their warm and welcoming tones are an intimate retreat where you can enjoy a well-deserved rest after a day of exploring the streets and visiting the attractions of the capital. 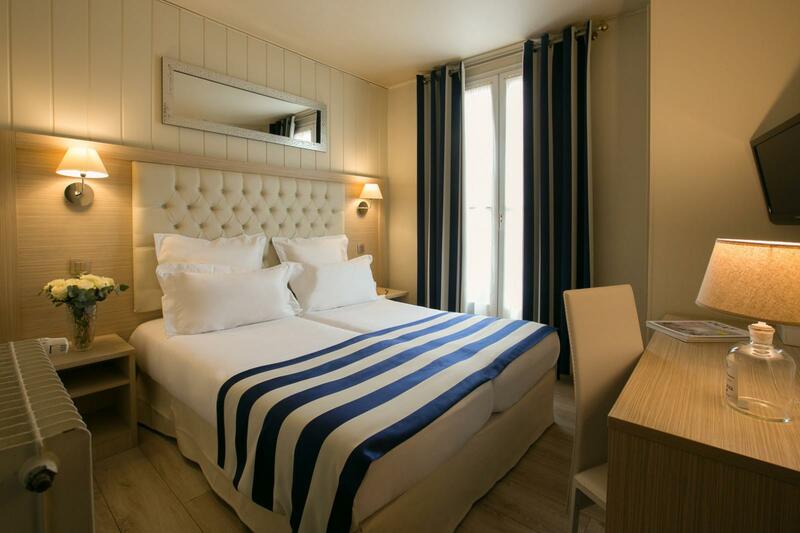 Recently renovated and boasting ultra-comfortable beds, they are a promise of peace and wellbeing, whether you are with us for one night or several. In our rooms you can take the time to savour every moment to the fullest and enjoy each new morning in preparation for a radiant day full of promise. 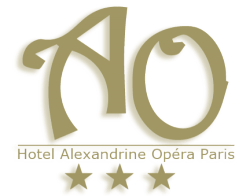 The Hotel Alexandrine is located on the Rue de Moscou in the heart of Paris and the Saint-Lazare district. An ideal address from which to discover the city, its monuments, its museums, and live like a true Parisian! Not far from our hotel you can find the famous Moulin Rouge and its spectacular and whimsical shows, as well as Montmartre, a district with the feel of a small village in the heart of the capital. Head along the Rue d’Amsterdam and discover the Saint-Lazare shopping area and its boutiques, fine restaurants and numerous bistros! 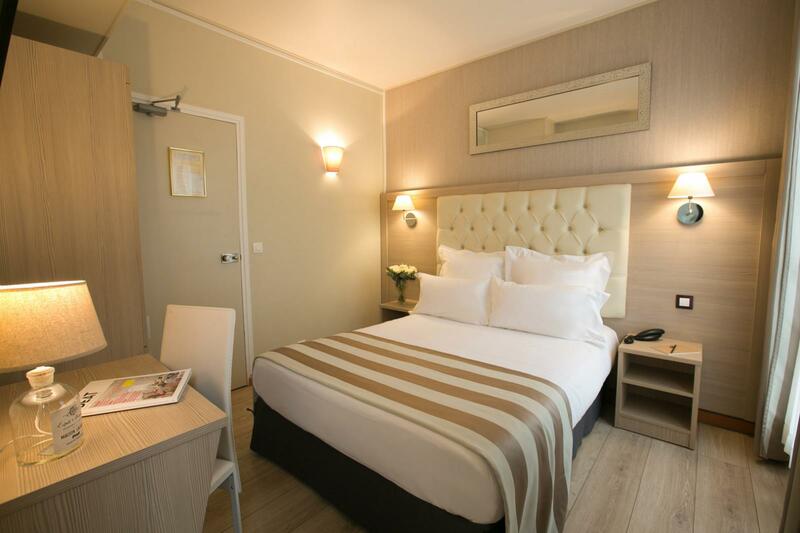 By taking a ride on the Metro line that runs close to the hotel you can easily reach the various places of interest, railway stations and diverse districts of Paris, whether you are here for a rejuvenating holiday or an important business trip. Take advantage of our breakfast offer by booking directly on our website! It’s a great way to start the day. Take advantage of our love at first sight offer by booking directly on our website! Take advantage of our early booking offer by booking directly on our website!